Thirteen-year-old Jimmy is a small, intelligent, and emotionally immature student in an alternative school program. He was the reason that I was asked to provide consultation to the staff and administrators in the school. With his constant verbal disruptions, threats to other students, and physical acting out, there were concerns that he may not be able to stay in the program. Upon our introduction, he responded with a tentative handshake and immediately began to set the tone for his interaction with me. “Freado…Freado…alfredo…alfredo…chicken alfredo. That’s it! I’ll call you chicken alfredo.” As he said that, he looked at me intently. More than just a humorously provocative beginning, he appeared to be watching for my reaction. I smiled at him and told him that I had been doing this for a long time but I had never heard that one. It was his first opportunity to size me up. And so began a four-day observation, interaction, and relationship-building assessment focused on helping the team answer two important questions. The first had to do with the suitability of the placement, and the second question was, if this is a suitable placement, what should be done to help him? 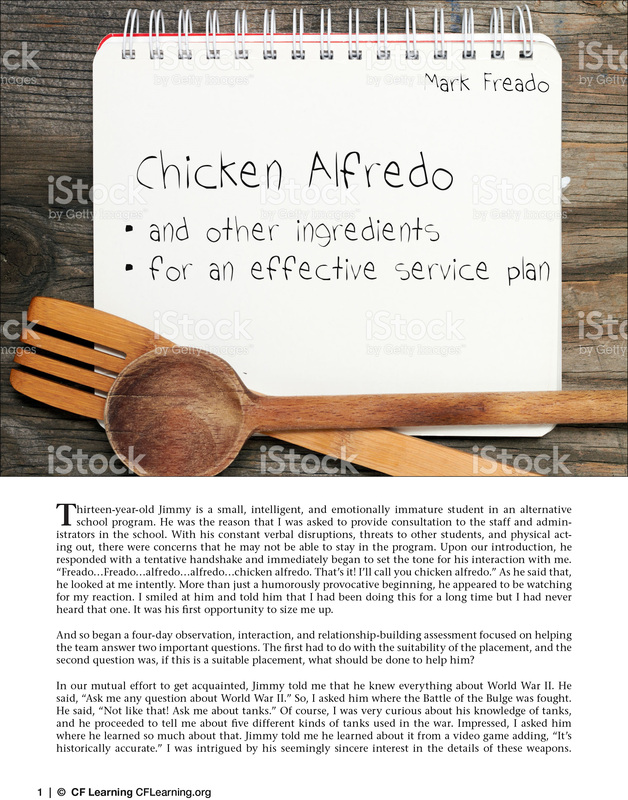 Click here to download or continue reading "Chicken Alfredo and Other Ingredients for an Effective Service Plan" by Mark Freado. Learn all about the ingredients for an effective service plan—attend The Drive to Thrive training at the Victoria Seminars, April 25-26, 2017. 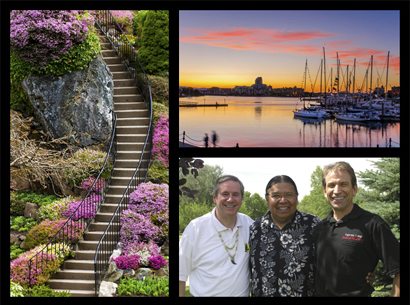 Network with leading-edge presenters and like-minded colleagues. Beneficial for all who work in prevention, treatment, and education with challenging children and youth. This entry was posted in Online Journal and tagged achievement, Adventure, Belonging, easy mark, interpersonal threat, irrelevant, Kid Whispering, Model of Leadership and Service, MOLS, power, purpose, Safety, safety threat, service plan, Trauma. Bookmark the permalink.